I always love when great new travel apps launch. This one is one of my new favorites. 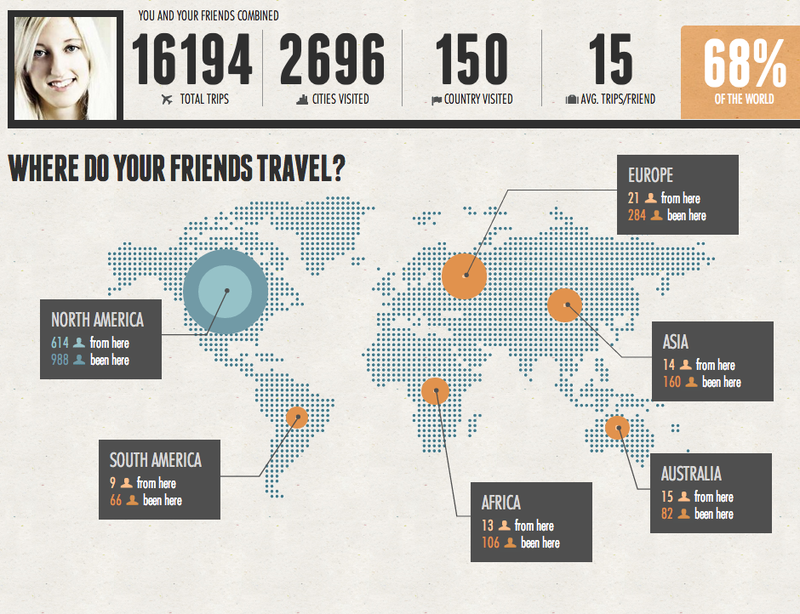 It took about a day to collate all of my travel (and my friend’s) information from facebook, but when it was done it sent me this lovely little infographic! How splendid.